This makes it important for us to continuously support the food places that are trying to keep the flames of their business alive. 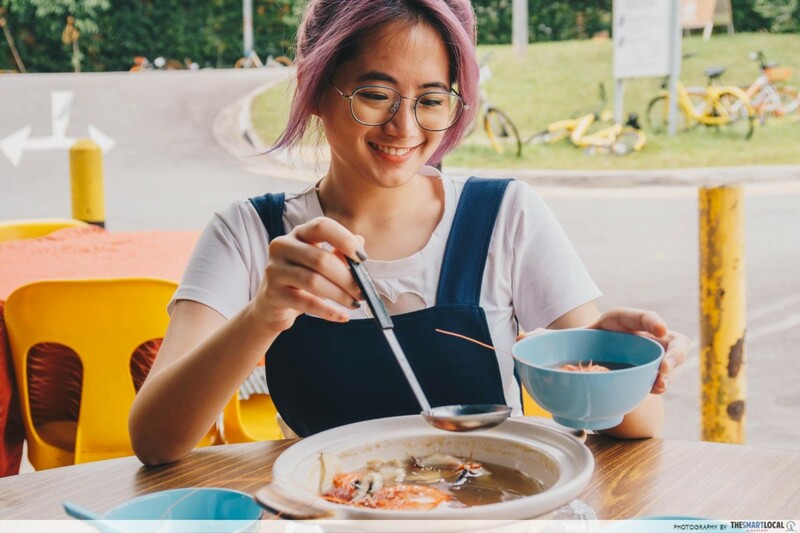 We’ve sussed out 8 eateries in the modern-day kampung of Sembawang that have stood the test of time by letting the young’uns take over. 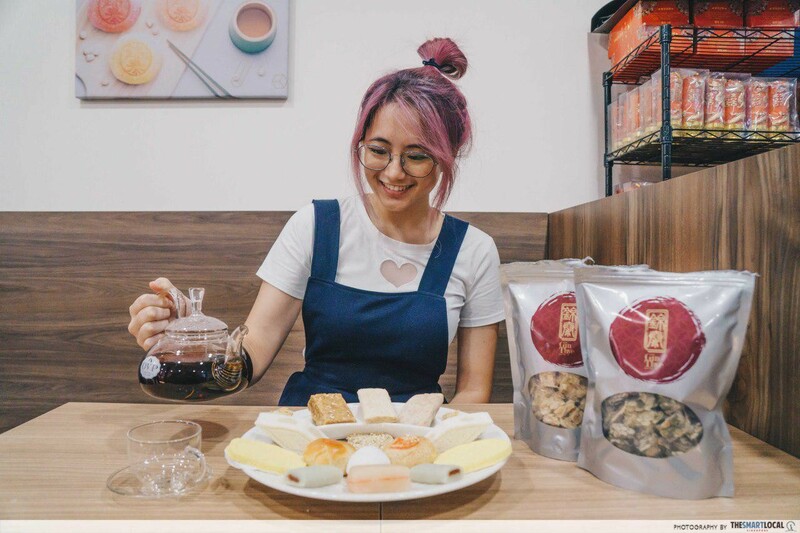 In an era where cutesy cupcakes and bountiful bingsus (shaved ice) fill IG’s #dessertporn page, it can be hard for a traditional Teochew bakery to stick to their roots while catering to a younger generation. Thankfully, Gin Thye Cake Maker has found that perfect balance. Started in 1964 by Lim Bak Chai and his 10 siblings, the bakery specialises in traditional Chinese pastries and has since incorporated Western cakes into their selection. But what makes Gin Thye modern isn’t so much their food but rather, their ambience. The current owner, Mr Lawrence Lim, renovated the extra unit they had in order to make a mini-cafe where so that diners could sit in and there’ll be more space to display products. It is this dedication to customer service that made Gin Thye source for only the best ingredients for the pastries. And you can tell. 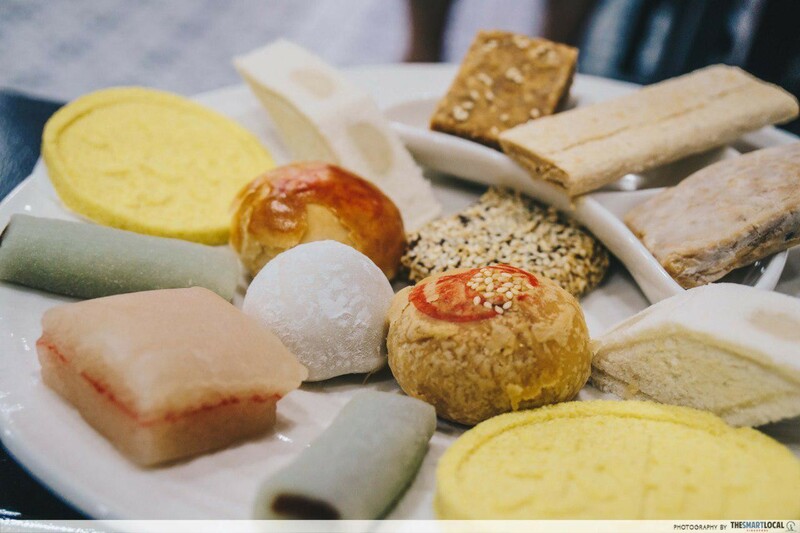 From their Tau Sha Piah ($6), mung beans biscuit, to their Peanut Candy ($2), every bite of their pastry sent a wave of sweetness throughout our body. We especially loved the Durian Mochi ($20) which was chock-full with fresh durian, giving it a rich taste. 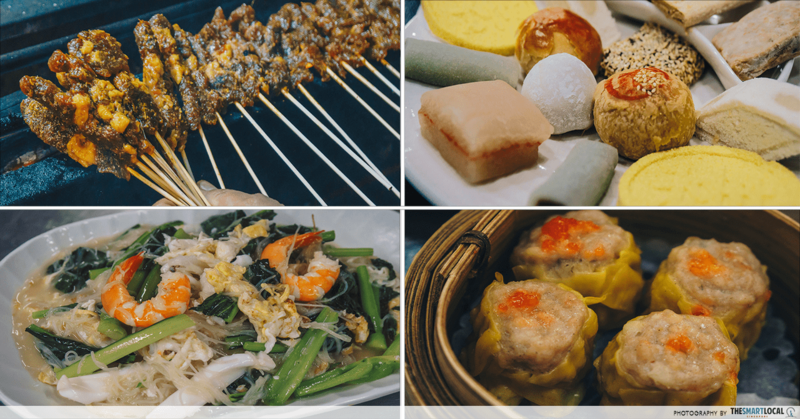 But you don’t have to make the trip to Sembawang to sink your teeth into these delights. To keep up with times, the company also has their own Qoo10 page where you can purchase these snacks online. 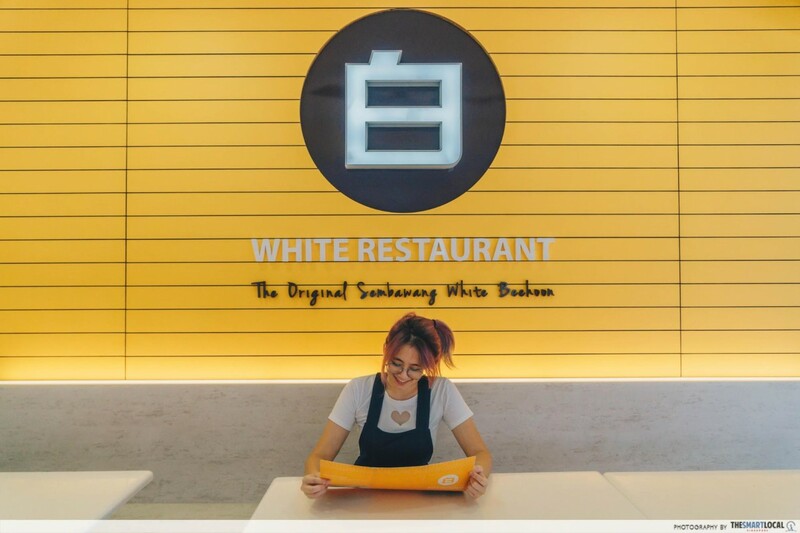 When it comes to local restaurants serving white beehoon, White Restaurant is the one to beat. Having served it since 1998, this one’s truly the original. 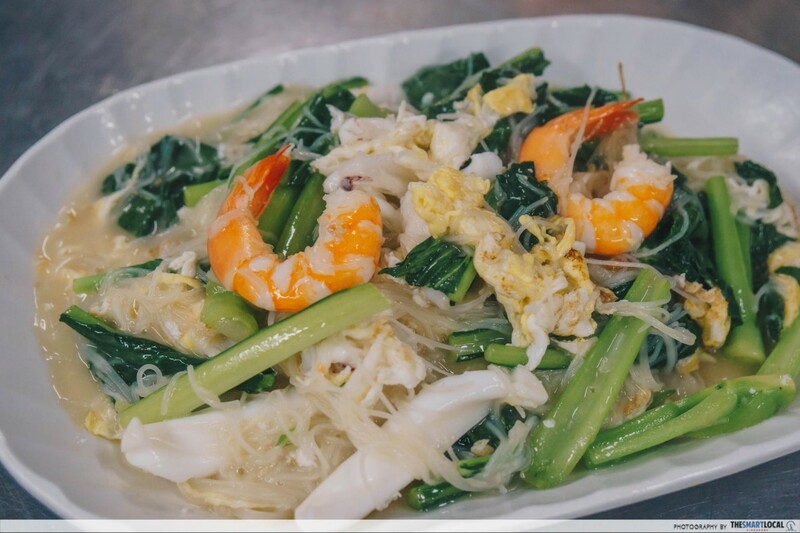 The Original White Beehoon (from $6) still rules the roost with the same aplomb as it did 20 years ago, with customers travelling all the way to Sembawang just for a swirl of the dish. As the noodles slide down your throat, you’ll notice that the stock has a deep flavour as a result of old hens being used. The restaurant was started by Mr Tay King Huak who has since handed it down to his son, Victor. 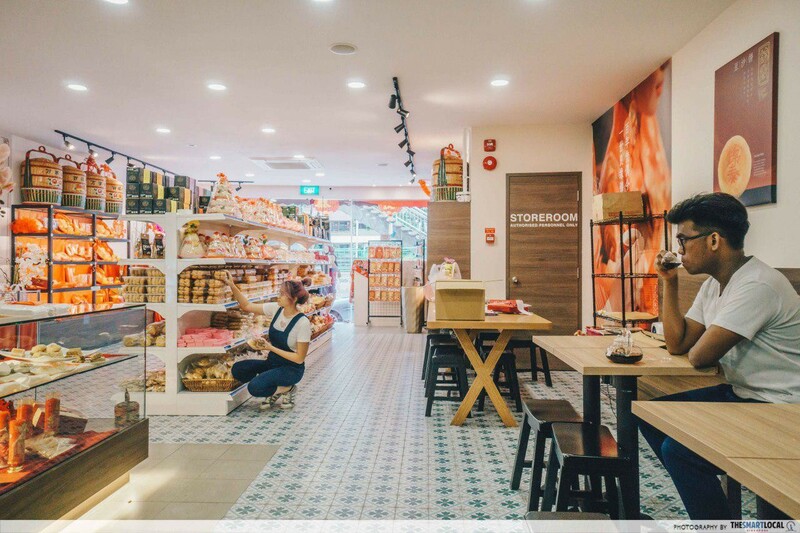 Under Victor’s leadership, White Restaurant expanded to many outlets all over Singapore such as Punggol, Toa Payoh, and Jurong. There are even plans to franchise the brand overseas. 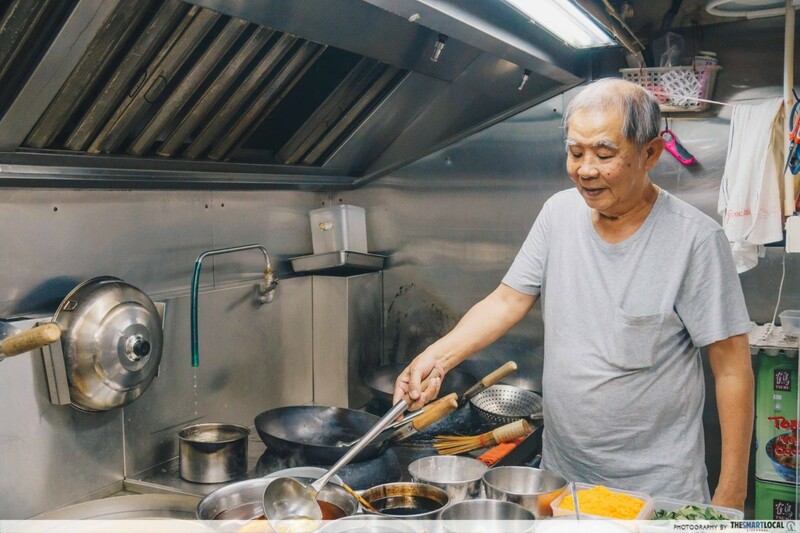 When Mr Eddie Dzul found out that his uncle wanted to sell off his satay business, he knew he had to step in to prevent losing something that’s been in his family for 20 years. As such, he took over managing the stall and rebranded it as SatayBros. Under his management, SatayBros had more platforms to spread their satay. For instance, they recently set up a pop-up stall at an SMU event and sold over 3,000 sticks! They even use food delivery service, Halalonclick, so that customers will not have to make the trip down to their stall in D’Rubinah restaurant. 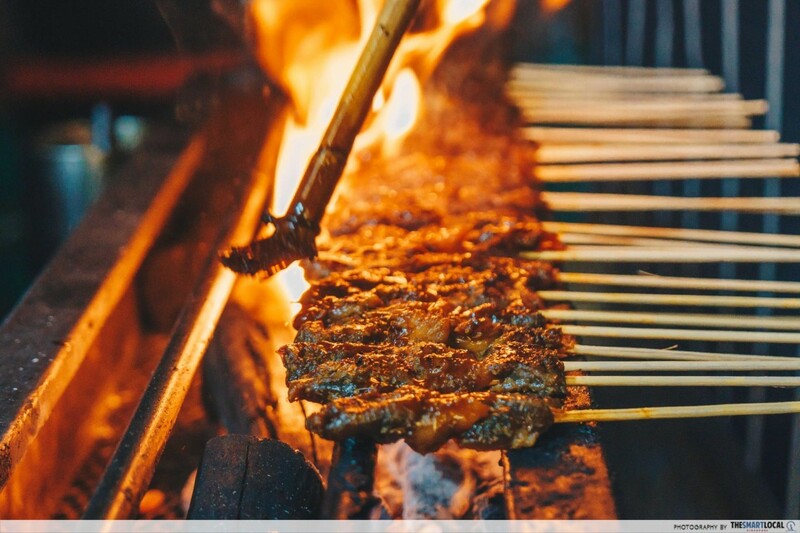 The satay (80 cents a stick) is marinated in copious amounts of oil which makes it extremely tender and juicy. 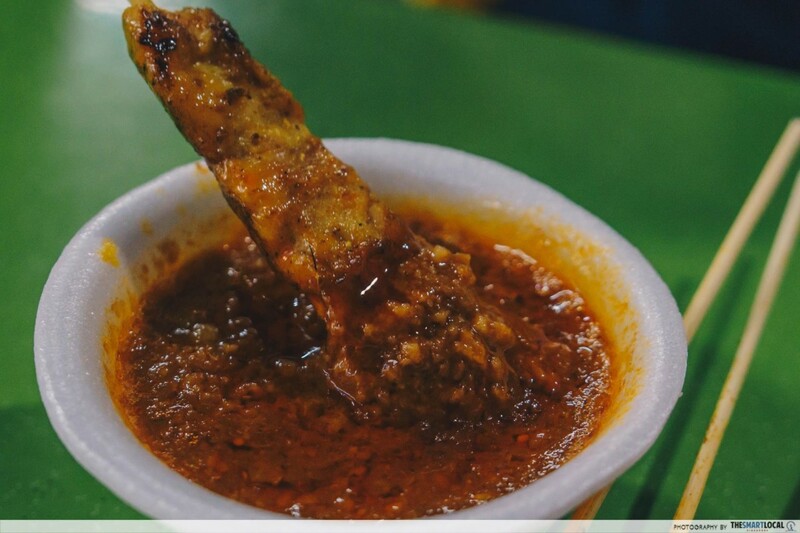 And the peanut sauce, the star of any satay dish, was divine as it was filled with peanuts, making it super savoury. 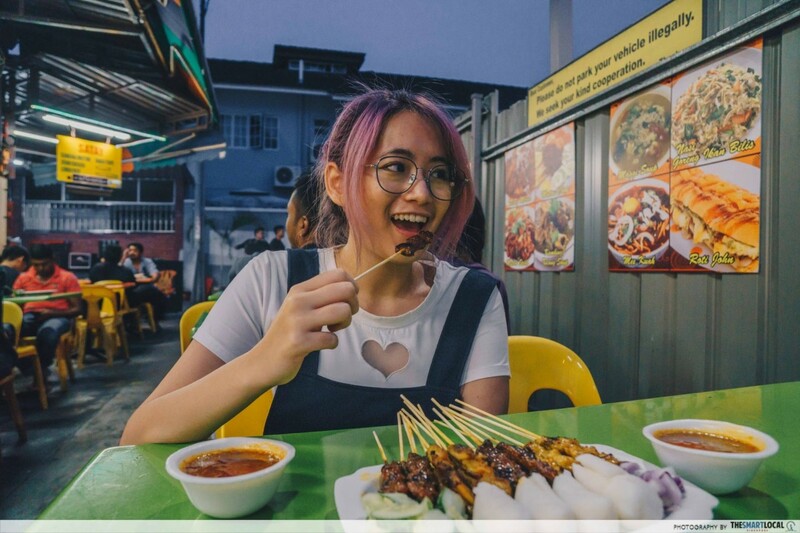 As one of the few eateries in Sembawang to be open throughout the night, Chong Pang Nasi Lemak is the go-to place for late-night supper sessions. 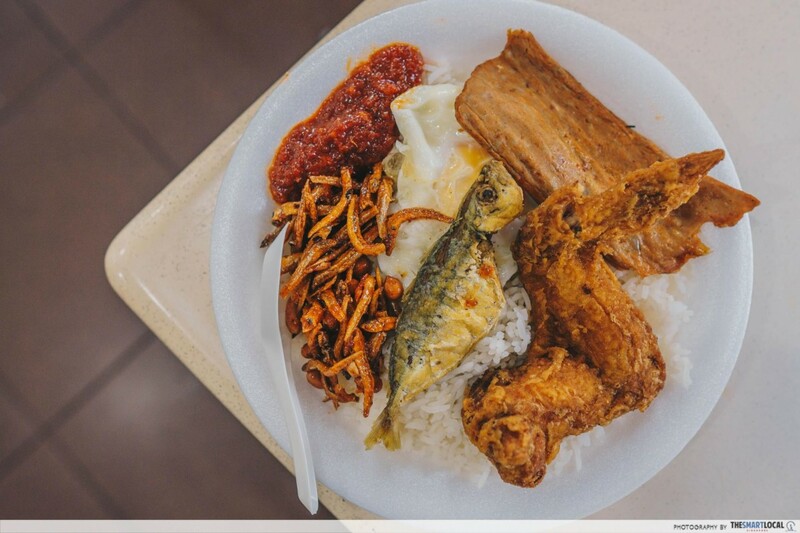 Besides its accessibility, it’s also been dubbed as one of the best nasi lemak places in Singapore. 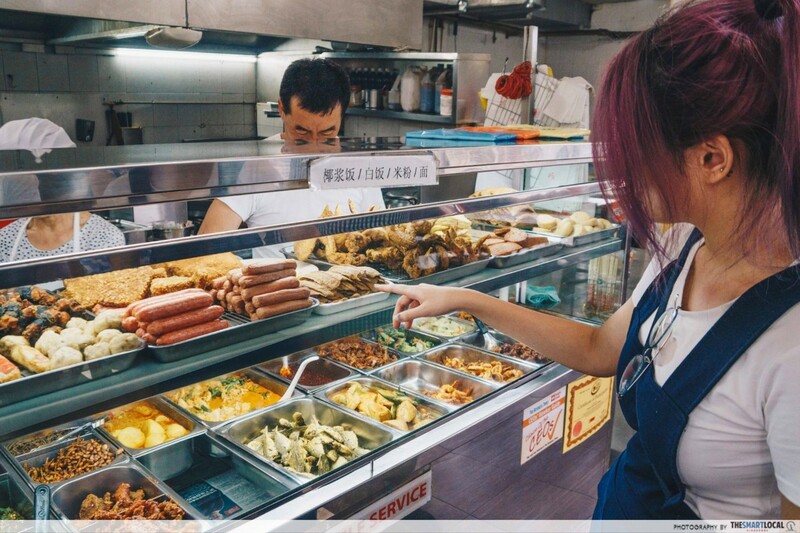 Unlike normal nasi lemak stalls, you can choose your side dishes here - cai png style - which opens up a plethora of unique combinations, including curry chicken ($1.70), stewed mushroom ($1), and tempura prawn ($1). We opted for a plate of classic nasi lemak ($5.20) with otah, chicken wing, and ikan kuning instead. And it was uh-may-zing. The chicken wing was perfectly fried: crispy on the outside, tender on the inside. The sambal was sweet which paired well with the coconut rice. This was taken just 10 minutes after opening time. This is all thanks to Mdm Lim Pong and Mr Goh Chye Sheng who first sold their nasi lemak from a van back in the 1960s. Eventually, they moved to this stall which is now run by their children. The stall is still popular with people from all walks of life; from loyal customers to military personnel from the nearby Chong Pang Camp. 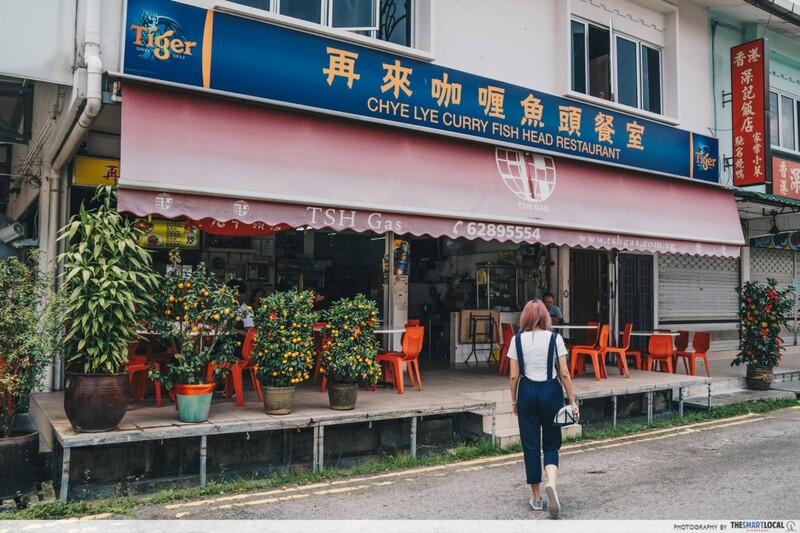 Chye Lye Fish Head Curry had its beginnings as a zi char restaurant when it was first started in 1967 by the Wong family. 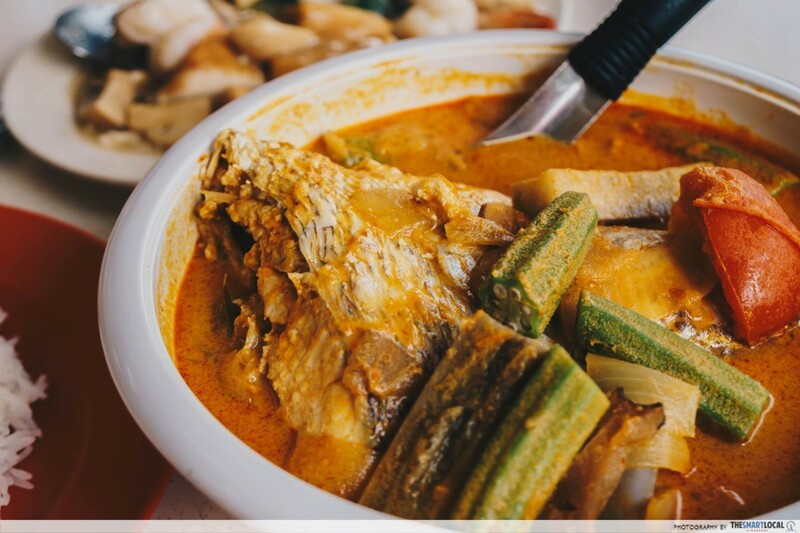 Now, it’s mostly known for its fish head curry ($25), a sour and spicy assam fish stew, which has fans from as far as Japan. A huge part of its popularity is due to its milder flavour which makes it perfect for those who can’t handle spiciness. Portions are also generous - the 3 of us couldn’t even finish a bowl! 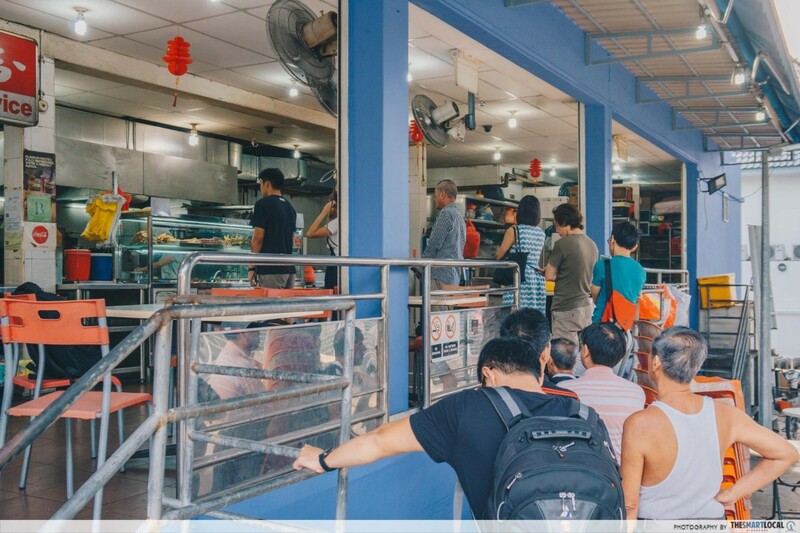 As the restaurant is popular amongst Sembawang folks, it’s important to ensure its legacy. Chye Lye is currently being run by the 2nd generation Wongs, with their daughter starting to help out with the family business. The glo up of Mr Lim Lai Soon’s career is amazing. He started out making coffee when he was 9 and now, he owns 4 different eateries - one of which is 1036 Live Seafood. 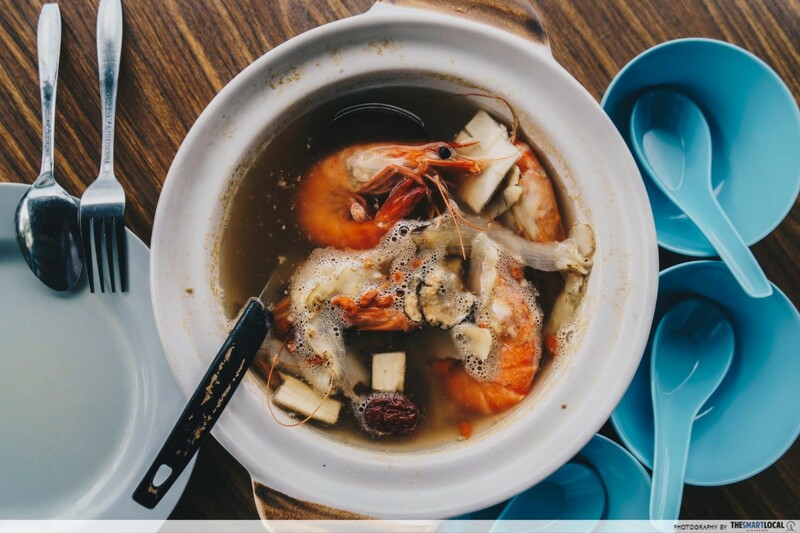 This zi char place has been around for 24 years, and is famous for its fresh seafood dishes. We tried the Herbal Drunken Prawns ($15) and loved how the sweetness of the prawns complimented the slight bitterness from the wine, making this dish a must-have on a cool day. At 68 years old, Mr Lim is finally starting to hand the reins to his children but he doesn’t have any plans of slowing down as he plans to open a new coffee shop soon. 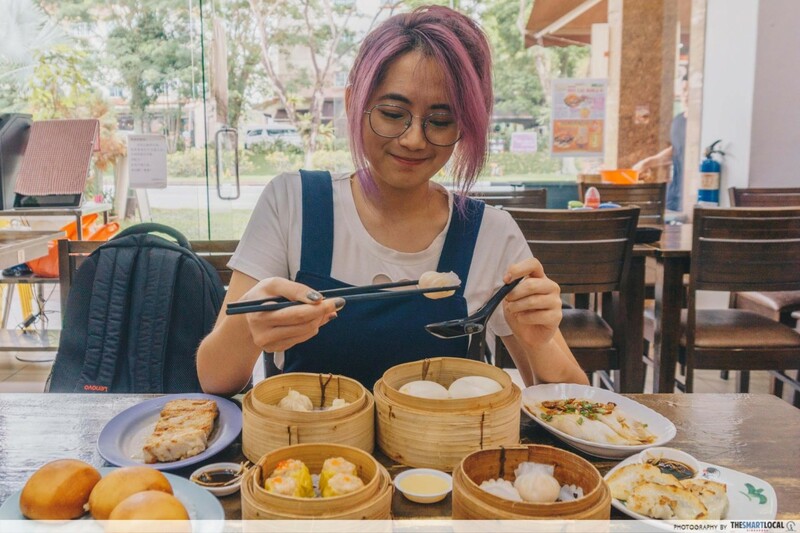 As you tuck into Wong Chiew Restaurant’s array of delish dim sum, you’ll probably be surprised to find out that its founder Mdm Law Koon Tai ran a successful fashion business in Hong Kong before moving to Singapore, more than 10 years ago. Although her children have taken over managing the restaurant, you can still see the Cantonese influences here, from their red storefront to, of course, dim sum. 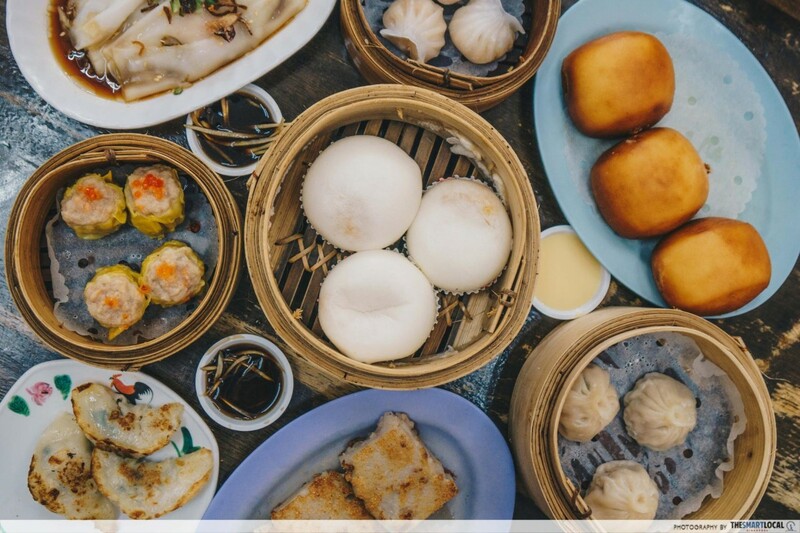 We dug into a treasure trove of bite-sized jewels here like the Steamed Bun ($3.70), Salted Egg Yolk Bun ($3.50), and Prawn Dumplings ($3.70), and loved how they were all soft and filling. And unlike most dim sum haunts, Wong Chiew is open 24 hours so you can get your fill any time of the day. 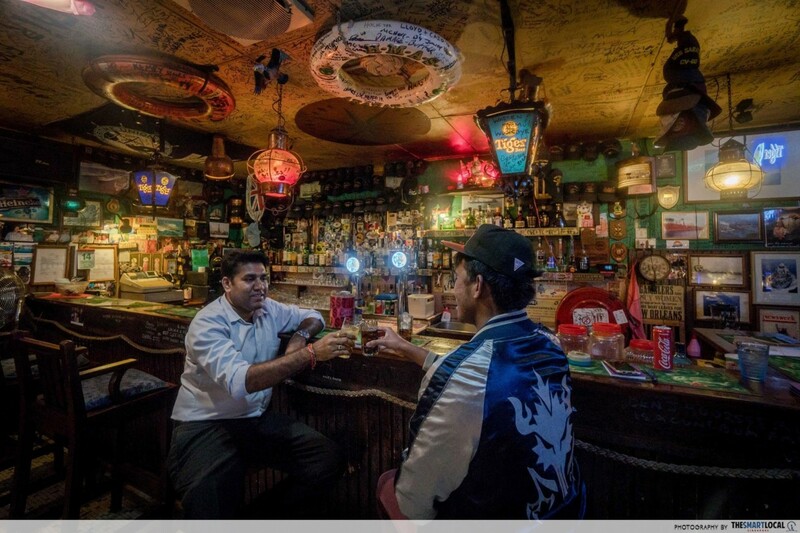 Having been around the same spot since the 60’s, Nelson Bar definitely also counts as a remnant of old Sembawang. 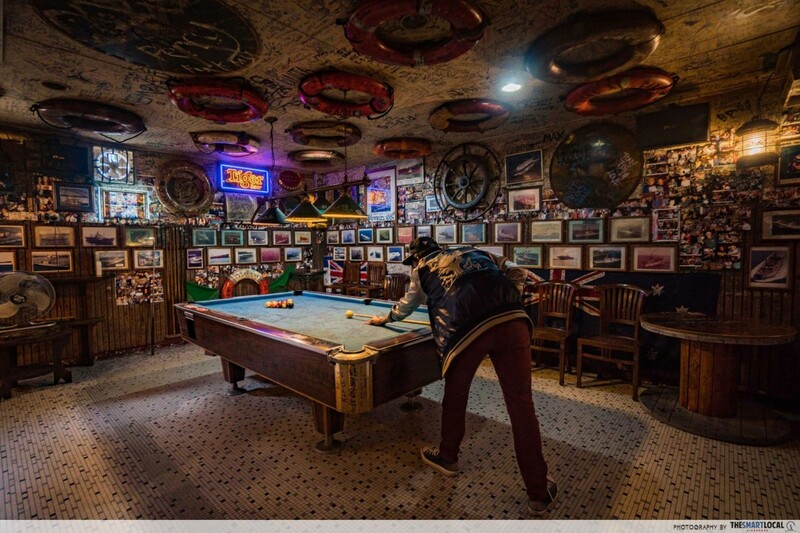 It was the watering hole for British naval officers back in the day and has become so deeply entrenched in their lives that they’ll make the pilgrimage here multiple times a year and bring their family along. 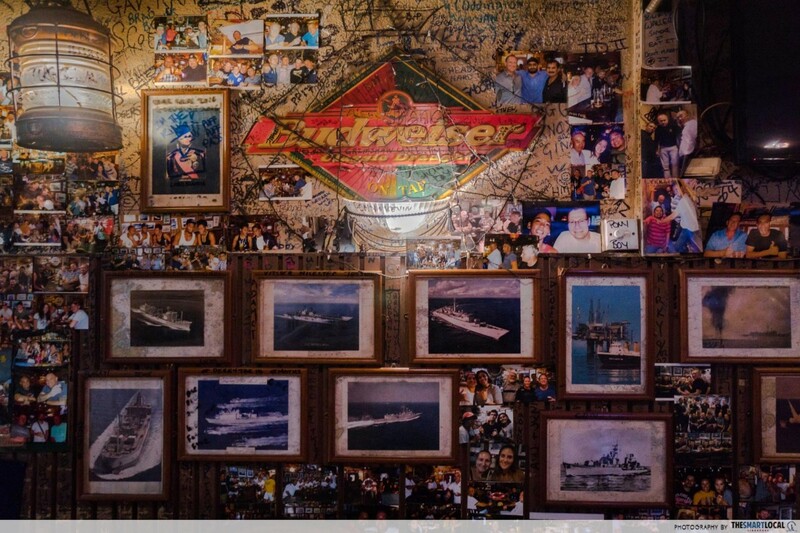 As you look around the cosy bar, you’ll notice vestiges from ships plastered everywhere, generously donated by the officers; from life buoys affixed to the ceiling to photos of ships that docked in Sembawang. The next time you wanna crack open a cold one, be sure to come during their Happy Hours, from 5PM to 8PM, where you can enjoy a bucket of drinks like Heineken and Tiger from just $30. While these 8 places serve up some delicious nosh, they also dished us about the importance of legacy and how easy it is to lose something that’s been in your family for years if it isn’t passed down properly. Hopefully, these food places will continue to thrive in the coming decades, as the next generation starts a new chapter. 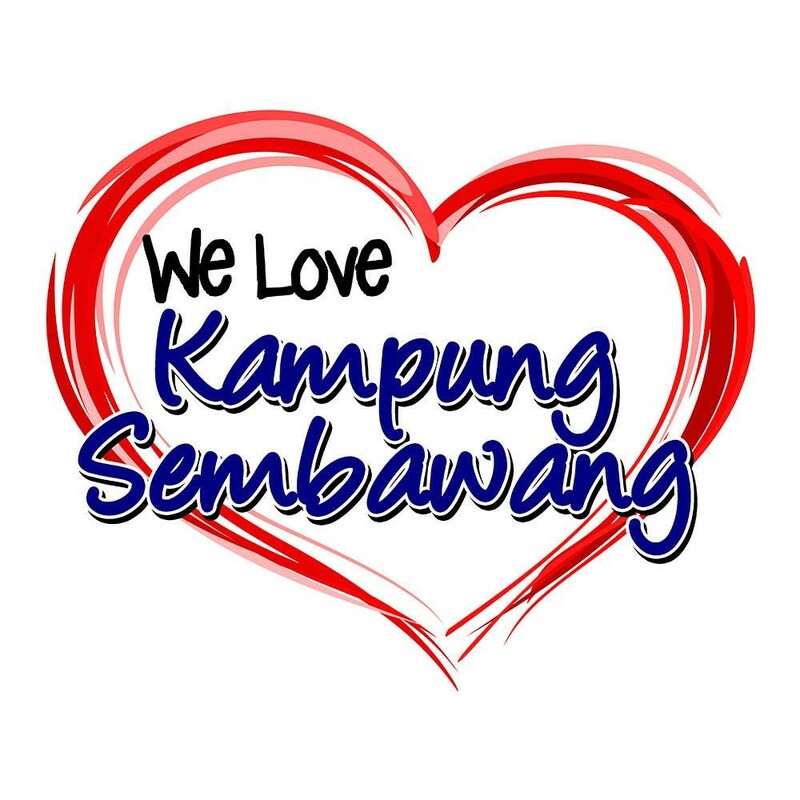 Whether you’re a native finding the next makan spot with your homies or someone who wants to treat your palate to good ol’ Sembawang food, head to the Kampung Sembawang Facebook page where you can also find feature pieces on the interesting people and places in Sembawang.